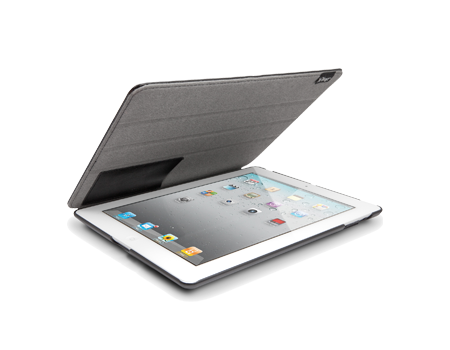 The iFrogz Summit Folio Case for iPad 2 offers a stylish protective solution for tablets. The case also features internal slots for storing business cards. The Summit blends the practicality of a folio-style case with the rigid protection of a snap-in polycarbonate core. It is not only designed to fully encase and protect the device, it also detects when the front cover is opened or closed, automatically turning the device on or off - no buttons or swipes needed. The Summit boasts three different media views, a secure magnetic closure, a loop for storing a stylus or pen, and an internal slot for business cards.